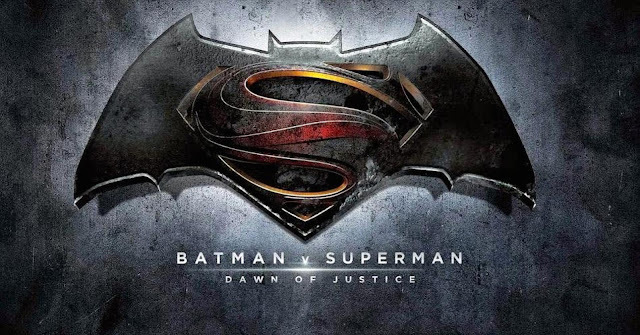 Zack Synder's Batman v Superman: Dawn of Justice is a movie which promises grand ideas and profound statements about America and about the state of the world we live in too. Yet, it is quite obvious minutes into the feature that the director is a traveling salesman of sorts - only Snyder has replaced snake oil with as many camera whips and pans, sonic blasts and CGI effects as any one human can cram into a bloated 150 minutes of head-banging inanity. The film opens with a scene in which a cumbersome superpower, hoping to rescue a civilisation from carnage, swoops in with heroic vigor but ends up destroying much of the land and many of the people the aim was to save. Here, I refer to Superman's accidental destruction of Metropolis as he fights off evil forces but, allegorically, this premise doesn't sound entirely unlike America's invasion of Iraq. When, from the ashes and ruble, vigilantes with their own sense of justice and moral codes rise up, the uncomfortable feeling that perhaps Batman is akin to ISIS presents itself fleetingly to the audience. Or, perhaps, an alternate reading could suggest Superman represents the old-fashioned American values espoused by the founding fathers of the nation. In this day and age, these ethic codes are out-dated so, to replace them, up rises a billionaire Republican with a unique, over-the-top way of dealing with those deemed untoward. Is Bruce Wayne a cipher for Donald Trump here? Or maybe, just maybe, Superman is, as the film repeatedly states, God. Batman is a new superhero from more modern, cynical yet enlightened times - this is the ultimate battle between man and God. Is this an atheist metaphor? Will man finally kill God or are we powerless to resist this almighty deity? Each of these ideas are toyed with but, ultimately, none are followed through in Chris Terrio and David S. Goyer's doughy and portentous script. Instead, the scribes seem more interested in weighing down their screenplay with as many anchors and obfuscations as they can manage. Here is a quick moment about the military/industrial complex and here is a character arc included solely to set-up spin-off features; here is a dream sequence of no consequence and here is a monologue about Prometheus - there are four or five unfinished movie scripts shoe-horned into the running time rather than one, completed and satisfying one. Famously Richard Donner's Superman promised to make us believe a man could fly - Snyder's movie is far too flabby to ever threaten to skip let alone soar. As his reputation suggests, Snyder has created a film in which the only things which are understated are clarity and coherence. The first two acts are over-indulged and, whilst each scene is temporally related in and of the fact they follow one another, nothing flows with any perspicuity. They exist simply to kill time before two elongated fight sequences at the feature's conclusion. 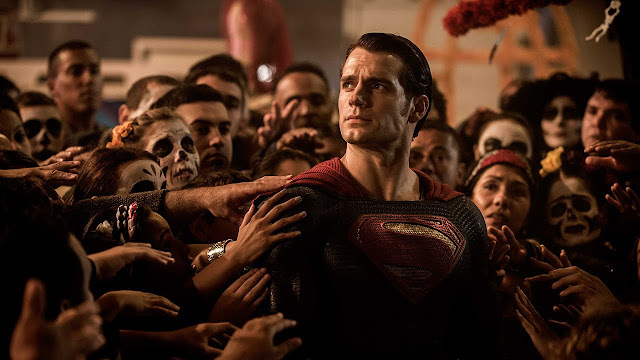 Whilst Batman (a moody Ben Affleck) and Superman (charisma black-hole Henry Cavill) initially find themselves at odds with one another, like a pair of Austen-esque heroes, perhaps they're not so different after all suggests Snyder. Or something like that. I don't think he or his screen-writers really care - they just wants to resolve one skirmish so as to get to the next, bigger one. Do either of these conflicts actually mean anything or say anything to us? Of course not - people are just going to pay big money to see two branded characters involved in a lot of CGI explosions. Sadly, this fact says more about America, and the world around it, than anything found in the entirety of Snyder's oeuvre.